The Joint Promotional Tour headed to California for the second time this year, where they trained 300 travel agents. This is the state of origin that sends the highest number of tourists from the US to the destinations. The Promotions desks of the Riviera Nayarit Convention and Visitors Bureau (CVB) and the Puerto Vallarta Tourism Trust (Fidetur) took the Joint Promotional tour on a visit to California from October 24-27, 2016. “We must point out that California is the most important state of origin within the United States for our region, holding approximately 35% of the total market share of that nation,” said Marc Murphy, Managing Director of the Riviera Nayarit CVB. The so-called California Tour visited San Diego, Los Angeles, Newport Beach and San Francisco. During these four days of intensive seminars about the tourism products offered by both destinations they were able to update and train 300 travel agents. There are a series of direct flights to the region from these cities via different airlines and an increase in connectivity is expected: a new Southwest Airlines flight from Oakland is programmed to start in November. There were 25 hotels from the tourist zone present at the events along with the Promotions team. Several wholesalers also participated. The top airlines that visit this area of the Mexican Pacific—Aeroméxico, Volaris, Interjet, Alaska Airlines, Delta Airlines and United Airlines—also accompanied the tour to present their own updates with an eye on the upcoming 2016-2017 Winter Season. 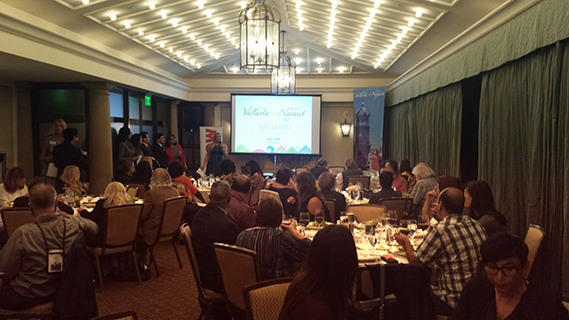 As always, the Mexico Tourism Board and its Los Angeles office lent their support to the activities.